Throughout 2017, Alt Går Bra has organized study group sessions in connection with its Tout Va Bien series. 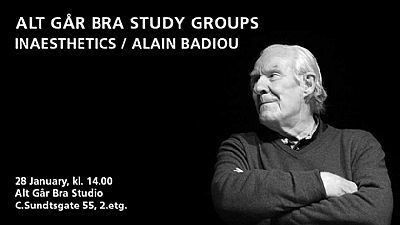 On Sunday the 28th of January at 2pm, we will meet to begin discussing Alain Badiou's book Inaesthetics. If you would like to join us, please read the first chapter.